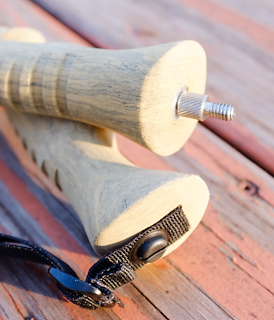 I had been looking to replace my good old, stable, 18oz/pr Black Diamond Trekking poles with something lighter. Whatever I chose would have to be adjustable from about 115cm where I like to cruise, to at least 130 cm to work with my LightHeart Gear Solo tent. 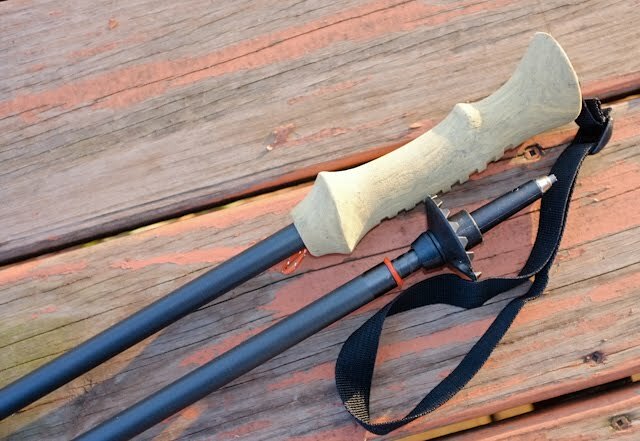 BD came out with a new line called Distance Trekking Poles that fold up like avalanche poles. They come in both fixed lengths, and in an adjustable version using a flick-lock. The weighed from 15.2 to 16oz a pair, depending on length, and list at $119.95. Which seemed like a lot to pay to save 2 ozs ... But more importantly, the one length they had that extended far enough to support my tent (120-140cm), did not collapse enough to support me in the manner to which I have become accustomed. Then someone on a Facebook Appalachian Trail page professed his loved for his LT4Ss. Well, I had to Google that ... 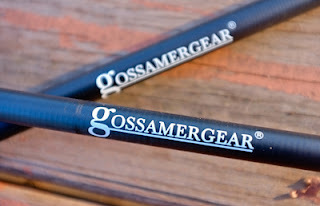 I found they are GossamerGear's Lightrek 4 adjustable carbon fiber trekking poles with straps. Adjustable from 90cm to 140cm, and weighing only 7.2 oz a pair - That's right, I said a pair! Less than half the weight of my good ole BDs! Online reviews were all positive, and implied that they are as rock solid as the BD flick locks. In a big, fat bonus for me, the wrist straps are attached to the top of the poles with screws, and when taken off, an optional camera adapter can be screwed in. I can leave a few ounces of camera support at home! One downside is that they only collapse to about 33in making them too long to fit inside my pack. Another is that they are spendy, and shipping is spendy. Once I worked thru the five stages of grief associated with any purchase I make, I ordered a pair, along with the optional camera adapter. They arrived a few days later, unscathed in a heavy-duty cardboard tube. My first reaction was how beautiful they were in their simplicity. Matte black shafts, uncluttered by locking mechanisms, tan ergonomic handles, and robust looking tips. Then I was blown away by their weight. Or rather, their lack thereof. The poles adjust easily, requiring only a couple of twists to lock them securely. The "Kork-o-lon" grips feel very comfortable. I'll have to take them out for a spin, but I'm thinking they're gonna be perfect. I hiked 114 miles thru Georgia and into North Carolina on the AT with these poles, and had no problems. They held securely, adjusted easily, and held my tent up perfectly. 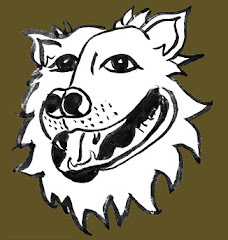 I went home with an injury, and started again southbound from Maine. My second day in the 100-Mile Wilderness, One of these sunk into a deep mud puddle, I lost my balance, fell forward, and snapped the lower section right where it met the upper section. 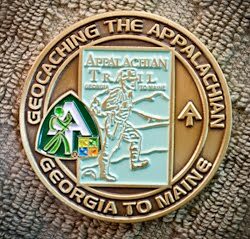 A phone call to GG from a mountaintop had another lower section waiting for me in Monson - for $45 plus shipping. I just had to hike the next eight days using a stick to hold my tent up. Meanwhile, with about 230 miles on them, the other pole started getting hard to adjust. Then nearly impossible. The rubber expander had begun to deteriorate, and was getting sticky. Emails to GG resulted in them sending me a rebuilt lower pole section from their hiker box in exchange for the old section. I'll fix that broken pole, and I'll use them for hiking in less than hairy, wet, mountainous conditions, but I'll be taking the Lekis when I get back on the trail this spring. Sweet! I love the camera adapter! One problem you may have is replacing the tips when you are on the trail. I have heard most people go through at least one pair of tips. LT4’s for the cost of parts and return shipping. Thanks. I'll have to contact the company and ask how they'd support me with that. I'm also thinking a pair of pole tip boots would help slow down wear. The answer turned out to be buying a "Replacement Tip Section" which includes the whole bottom section of the pole for $45. Replacing both would be $90 plus shipping. And Now ... A Box From Our Sponsor!